The squat, noisy duck occupies a prominent role in the human cultural imagination, as evidenced by everything from the rubber duck of childhood baths to the flying ducks on living room walls. 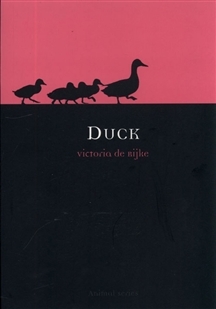 With Duck, Victoria de Rijke explores the universality of this quacking bird through the course of human culture and history. From the Eider duck to the Brazilian teal to the familiar mallard, duck species are richly diverse, and de Rijke offers a comprehensive overview of their evolutionary history. 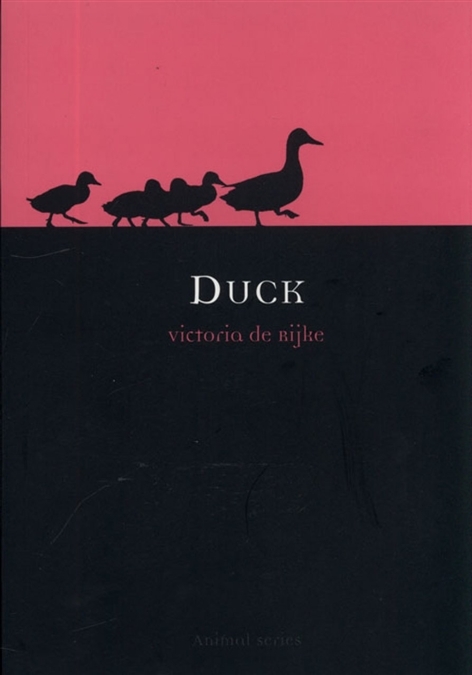 She explores the numerous roles that the duck plays in literature, art, and religion - including the Hebrew belief that ducks represent immortality, and the Finnish myth that the universe was hatched from a duck's egg. This book also highlights the significant role humour has always played in human imaginings of duck life, such as the Topographia Hibernia, a twelfth-century tome contending that ducks originated as growths on tree trunks washed up on a beach. But we also learn about the bird's role in everyday life as well, from food dishes to jokes to beloved animated characters such as Daffy Duck and Donald Duck.